Most previous methods of establishing whether a fingermark at a crime scene contain blood are purely presumptive. The suspected fingermark, whether it be a print merely contaminated with traces of blood or an entire mark left in blood, will be subjected to tests which will aim to confirm or refute the presence of blood. However most existing presumptive tests suggest that it is a possibility the fingermark in question contains blood… but that it equally could be another similar substance that happens to produce a positive response with the test used. 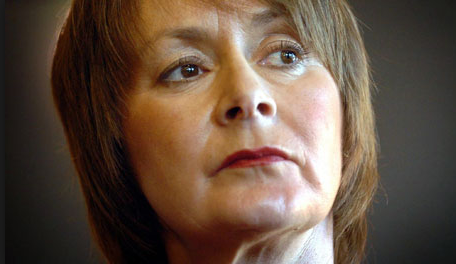 Thus is the limitation of any presumptive test – they can only give a possibility, not a definitive answer. Obviously not ideal during a forensic investigation. Suspected bloodstains can be subjected to a wide range of tests to ascertain their composition. Blood may be visualised using alternative light sources, but this is a far cry from confirming its composition and in some cases (such as with the use of short-wave ultraviolet light) can even be destructive to DNA, thus obviously not ideal for the forensic examination of a blood sample. Spectroscopic techniques such as Raman spectroscopy have proved successful in potentially distinguishing blood from other biological fluids, though this has not been widely applied, particularly to blood in fingermarks. Chemical enhancement techniques have also been developed in the past, such as those that react with amino acids or haem-reactive compounds present to produce a colouring or fluorescence to enhance the blood. As successful as these methods may have been in the past, they are still only presumptive and cannot claim with any kind of near-certainty that any positive reaction produced is the result of blood and furthermore whether that blood is of human origin. As a result of this, more confirmatory tests are needed. More affirmative procedures do exist and are currently being developed. A particularly interesting method of detecting blood in fingermarks is using a technique known as MALDI MS. That is, Matrix-Assisted Laser Desorption Ionisation Mass Spectrometry. This relatively new analytical technique (relative to the history of mass spectrometry anyway) is most commonly applied to determining the mass of peptides, proteins and polymers, so is ideal for focusing on certain components of blood. For those unfamiliar with mass spectrometry, in its simplest form it is a technique which is used to determine the identity of sample components based on their mass-to-charge ratio and, in some cases, how the molecule fragments when ionized. MALDI is something of a variation of this technique. In this technique, the sample to be analysed is mixed with a particular matrix material and applied to a plate. A laser irradiates the sample and matrix, causing ablation and desorption, after which the sample is ionized and then accelerated and detected using mass spectrometry. Researchers have applied MALDI MS to detecting the presence of blood by specifically focusing on the detection of haem and haemoglobin molecules based on their mass-to-charge ratios. 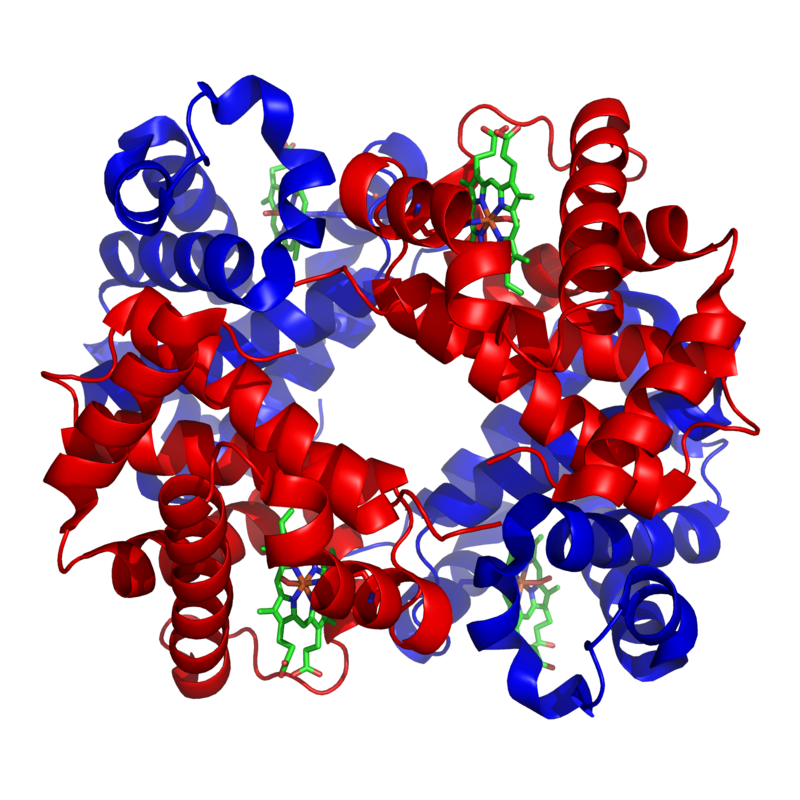 These molecules are vital components of blood, with haemoglobin being the protein responsible for oxygen transportation and haem being a compound embedded into haemoglobin which provides the iron essential for oxygen binding. By subjecting known and suspected blood stains and bloodied fingermarks to this technique, haemoglobin chains could be detected even in traces of blood invisible to the naked eye. Initial research into this technique studied human, equine and bovine haemoglobin, establishing that it is possible to determine whether or not haemoglobin was from a human source using mass spectrometry at a high mass range. Both fresh and aged blood samples could be successfully analysed, making the application potentially beneficial to samples from various points in time. 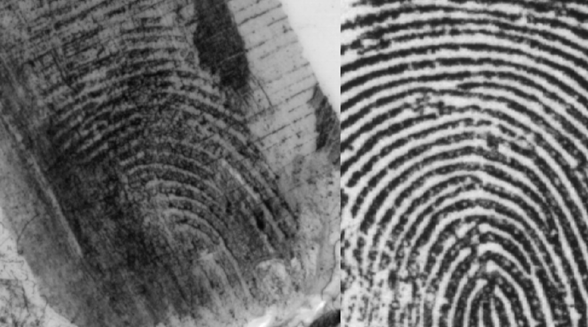 Furthermore, the technique has proven to be compatible with other methods often used by investigators when attempting to enhance fingermarks at incident scenes, meaning the new method is not likely to interfere with existing procedures. This fascinating application of matrix-assisted laser desorption ionisation mass spectrometry offers a whole new world of possibilities in blood detection in forensic science. Although at present such instrumentation is far from being the norm in the forensic scientist’s arsenal, the applications of advanced mass spectrometry techniques to answering some of the simpler yet vital questions during a criminal investigation make for a captivating read. Bradshaw, R et al. 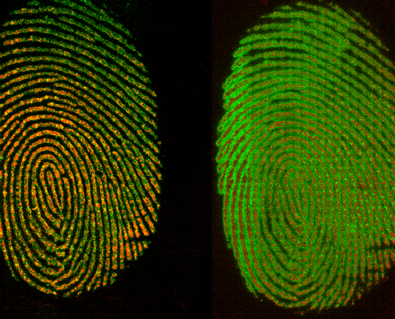 Direct detection of bloos in fingermarks by MALDI MS profiling and imaging. Science and Justice. 45 (2014), pp. 110-117.